The porcelain tiles of the artist’s designs incorporate manipulated photographs of sculptural works and the New York City landscape, as well as intimate hand drawings enlarged many times over. 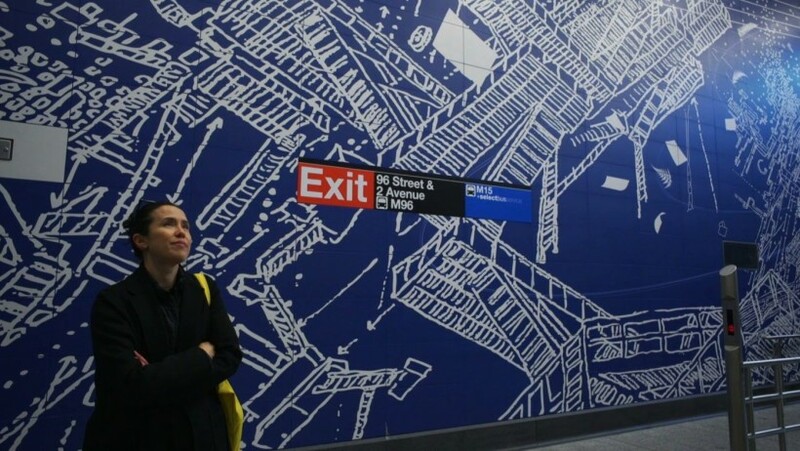 Image: Artist Sarah Sze and her installation Blueprint for a Landscape (2017) at the 96th Street Subway station. Production still from the Art21 Exclusive series episode "Sarah Sze: Designing a Subway Station."